None found. Click the “Qualified Companies” button below for the full list. Can't find your organization? Click the “Qualified Companies” button below for the full list. FAMILY MEMBERS AND RETIREES OF... FAMILY MEMBERS AND RETIREES OF THE ABOVE GROUPS. SPECIALTY HOSPITALS OF AMERICA... SPECIALTY HOSPITALS OF AMERICA, INC, LA MIRADA, CA. It’s easy to join and receive the many benefits offered by UFCW Credit Union. You may visit any UFCW Credit Union Branch Office and complete a Membership Application in person, or you can download a membership application. 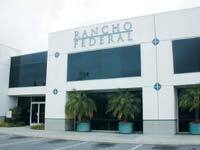 Visit your nearest branch office to meet with a Member Services Representative. A Member Service Representative will be happy to fax or mail you a Membership Application and return envelope, along with any forms you need to sign up for any UFCW Credit Union service. If you need assistance, please call UFCW Credit Union at (562) 803-6401 ext. 5 to speak to a Member Service Representative Monday – Thursday 9:00am-4:00pm, Friday 8:00am-6:00pm. You may fax a completed Membership Application to (562) 803-4461.
Credit Unions are full-service financial institutions offering all the loans, checking, savings, investment and money management products services you would find at a bank, but with one major difference. Credit Unions are member owned co-operative not-for-profit organizations, operating as a service to our members. UFCW Credit Union’s parent institution has been serving members and families since 1936 – meaning that we are celebrating their 80th Anniversary with them all this year! UFCW Credit Union has strong ties to union workers, and a long tradition of dedicated service. Unlike profit-driven banks, UFCW Credit Union believes it is our obligation to promote financial literacy and help our members build wealth – as opposed to looking for ways to make money at every turn. UFCW Credit Union is financially sound, with over $80 million in total assets and cash reserves that exceed all federally mandated standards. We currently serve over 11,000 members and we invite you to join our credit union family. UFCW Credit Union member deposits are insured up to $250,000 by the National Credit Union Administration (NCUA), an agency of the federal government. Each of your individual deposit accounts is federally insured by the NCUA, up to $250,000. That includes savings, money market accounts, share certificates, checking accounts, and Individual Retirement Accounts. 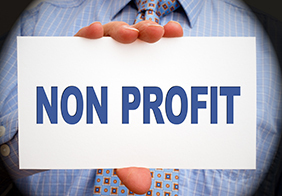 NCUA insurance is provided at no cost to our members. Individual Retirement Accounts are insured separately up to an additional $250,000 by the NCUA. The NCUA also provides the peace of mind of knowing that not one dollar of NCUA protected money has ever been lost by a credit union member. Click or call (562) 803-6401 to get in touch. Your savings is federally insured to at least $250,000 and backed by the full faith and credit of the United States Government. If you are using a screen reader and are having problems using this website, please call 866-855-9050 for assistance.